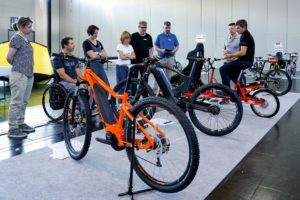 MUNICH, Germany – The heat wave that struck the South of Germany and Munich last week brought especially less consumers to Messe Munich’s Ispo Bike 2013, which took place from July 25 to 28. The number of trade visitors were down too compared to last year. And 8.3% drop to 5,500 trade visitors was registered last week in Munich compared to last year’s show. These visitors saw 209 exhibitors from 22 countries, representing around 328 brands. Also this number is down on last year; a 28% drop in exhibitors. 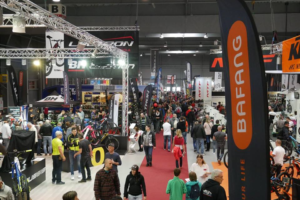 Opening its doors on the hottest days of the year hampered Ispo Bike 2013. 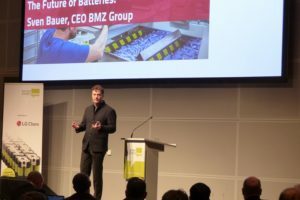 Concentrated in two halls this fifth edition of the show could be easily divided into a ‘two-in-one’ featuring the ZEG (hall B5) and e-bike – pedelec show (hall B6) including the show’s highlight – the indoor test track built by Extra Energy. 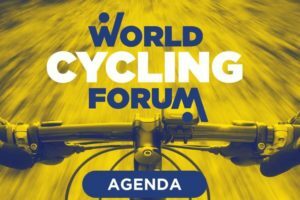 The biggest news at Ispo Bike was publicized before the show opened its doors. Messe München chairman and CEO Klaus Dittrich announced the dates for Ispo Bike 2014 taking place from July 24 to 27. ZEG, the show’s major supporter will also continue to exhibit in Munich. 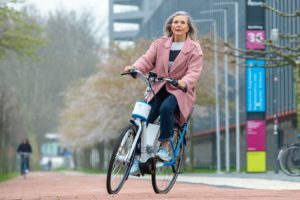 One day before the show opened its doors ZEG chairman Georg Honkomp announced that they had a long talk with the top management of Messe Munich, “We feel comfortable in Munich and get optimal support.” And of course he referred to the perfect infrastructure Munich and Ispo Bike offers. 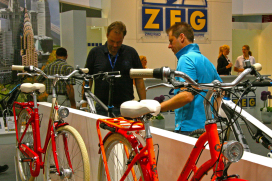 A complete show report on Ispo Bike 2013 is in Bike Europe’s August edition.